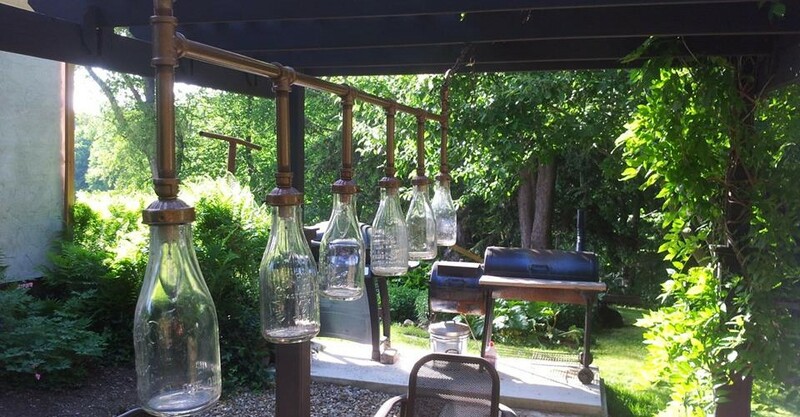 Most of the milk bottles were from the Akron Pure Milk Company. Milk bottles from the 1920s were usually round with embossed letters. By the 1930s, most milk companies switched to square bottles with paper labels. What To Do With All Of These Bottles? You can’t dig a hole anywhere on the farm without uncovering something exciting! 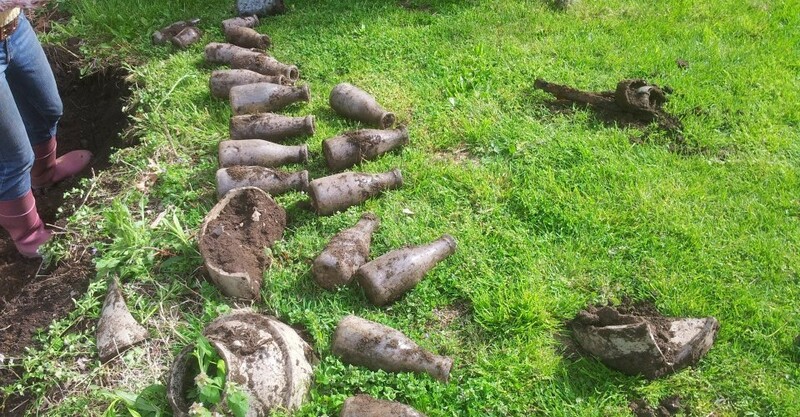 While digging a fence post hole we found an archaeological jackpot behind the house: a treasure trove of 1920s glass bottles, many of them intact. Most of the bottles are from the Akron Pure Milk company and there were also cream bottles, mustard bottles, pill bottles and more!